We are happy to be accepting reservations for 2019 and 2020. Glacier Bay & Endicott Arm/Dawes Glacier trips are in high demand. Our schedule is below, but we still have some flexibility on dates and ports of call. Book Now for 2019 and 2020. 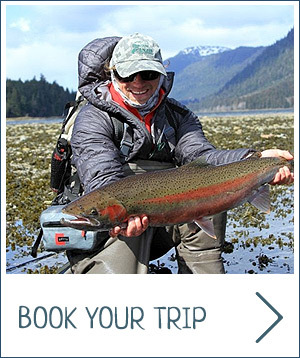 We offer a variety of trip lengths and customize each trip to your interests. Trips typically sail between Sitka, Petersburg, and Juneau. All of these cities can be reached by daily Alaska Airlines jet service or the Alaska Marine Highway Ferry System. Seven day/ six night sailing trips are a great way to see incredible Southeast Alaska. We can’t think of a better vacation! You will get the whole experience of hiking remote trails, seeing wildlife in their natural habitat, fishing for salmon or halibut, kayaking among the myriad islands, and sailing the fjords. Your cost for this trip with a full boat (6) is $2876/person. Ten days/ nine nights allow more of everything. More history, exploring, wildlife, fishing, hiking, kayaking, sailing, etc.. The itinerary is flexible and will be customized to your interests. Your cost for this trip is $3821/person with a full boat. We sail to and from Juneau on this ten day trip spending four days traveling to Glacier Bay National Park. This is one of the country’s premier parks and lucky us; only a limited number of boats are allowed to enter each day. The scenery is fantastic and you will not forget the thunder of tons of ice calving off the face of the glaciers! The cost for this exclusive trip with a full boat is $4496/person. Longer trips are available and encouraged! The only thing better than a week sailing in Alaska is two weeks aboard Sailboat BOB! Longer time periods offer the opportunity to explore a larger area for more hiking, kayaking, sailing, fishing, or other activities with less time spent in travel each day. We can also arrange float-plane transfers to maximize your time with us. Additional cost, but wow, what a way to end a sailing trip! No matter if it is a 14-day trip or only a 5 day trip that appeals to you, we’ll try to fit it in. But call quick so you get the days you’d like. Best book early to get a June – August trip next year. TRIP INSURANCE – You bet! We highly recommend that you insure your trip with travel insurance. 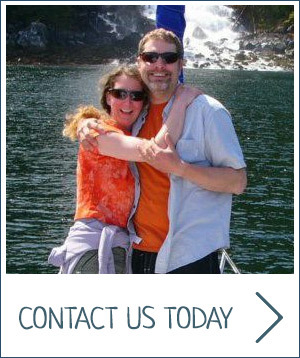 You can get a free quote from Haines Alaska-based Expedition Broker by emailing Greg at insurance@expeditionbroker.com. Being an Alaska-based agent, he can offer policies particularly suited for travel in our region. This insurance provides additional travel and medical coverage as well as covering the cost of the trip should you have to cancel for health or emergency reasons. Coverage is affordable and there are a number of options and pricing levels available. An Alaska state fishing license – required for anglers unless younger than age 16. You should obtain your own before we leave the dock. This is reasonably priced and is available online from the link above. You will never eat fresher seafood, but you’ll need a license to catch it. Knee-high rubber boots. You will want these. Trust us. *Because of Alaska liquor laws, alcoholic beverages are not provided, but can be purchased beforehand, or ordered for pickup, from a number of fine liquor stores near our departure docks. We provide the mixers (Bloody Mary mix, margarita mix, tonic, etc…). Book the entire boat (six people) and get a 10% discount. Book by Nov. 1 and received that year’s prices for a trip the next year. Return guests receive a 10% discount. Folks who refer others get 10% off next trip. Shoulder-season trips are often discounted. Inquire. Call us or e-mail with any questions. Prices are per person base on double occupancy. Four confirmed guests and a deposit of $500/cabin are needed to hold a reservation. 50% of the trip total is due March 1st. The remainder is due before departure. Trips typically sail at 9:00am on departure day and arrive at 10:00am on the last day. Trips may be subject to sales tax depending on the trip itinerary and ports of call.